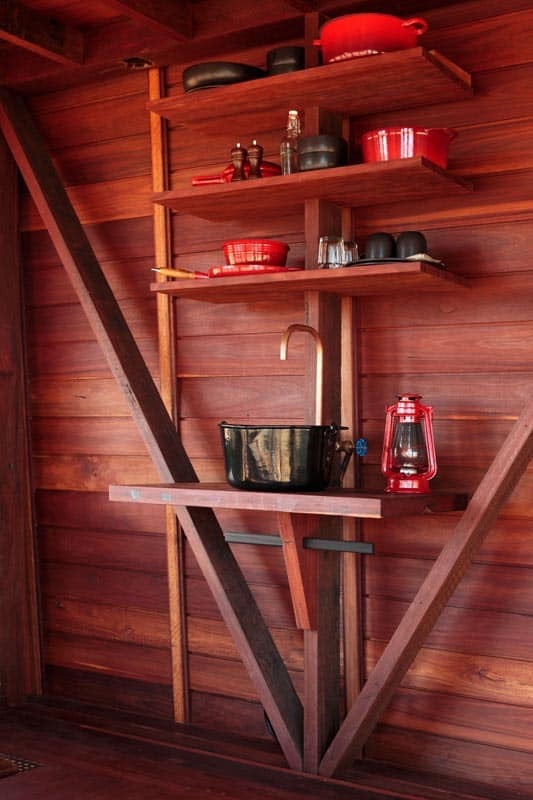 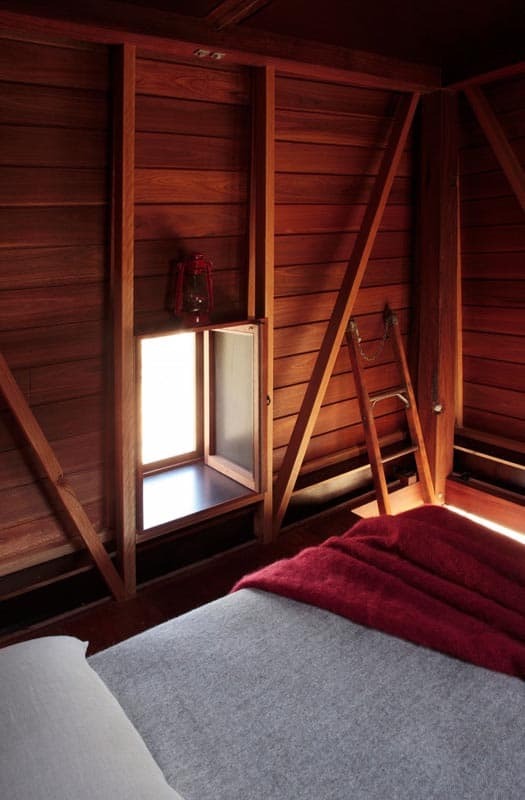 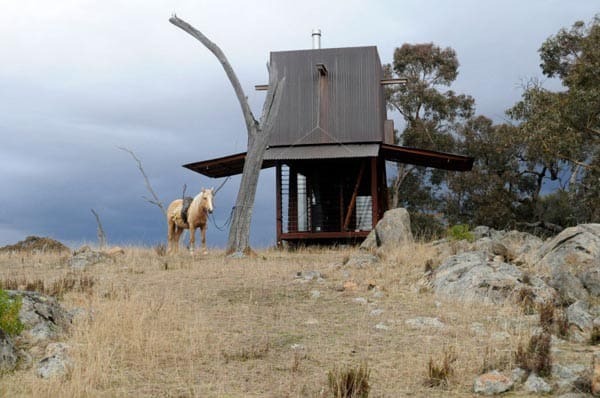 Located off the beaten path in New South Wales, Australia, this camping hut named the “Mudgee Tower” serves as a temporary shelter for its owner. 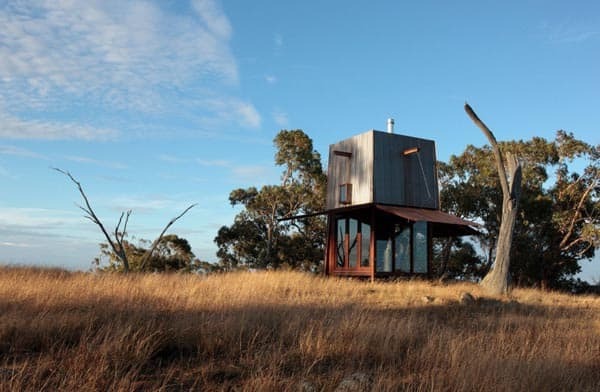 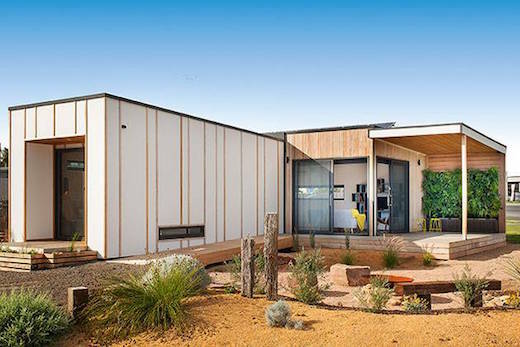 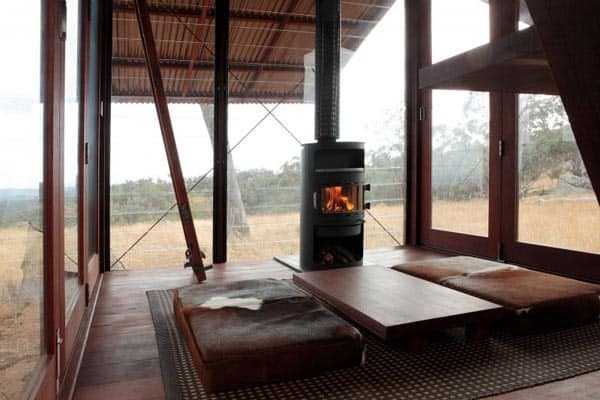 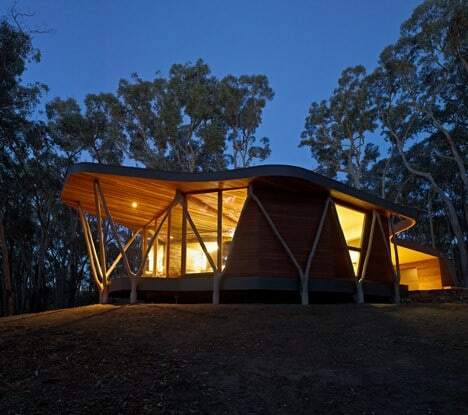 It was built in 2007 by Casey Brown Architecture, and the distinctive look offers just enough space for one or two people to escape into the wild outback of Australia. 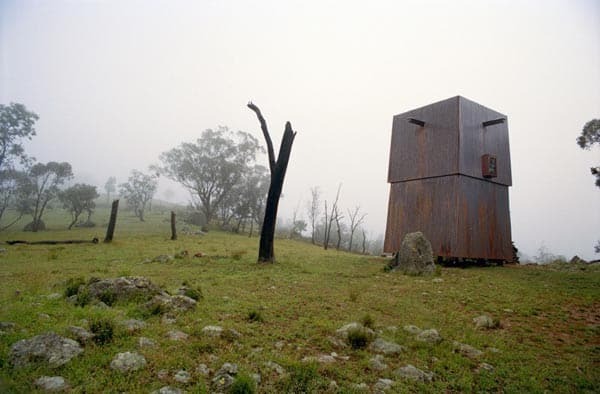 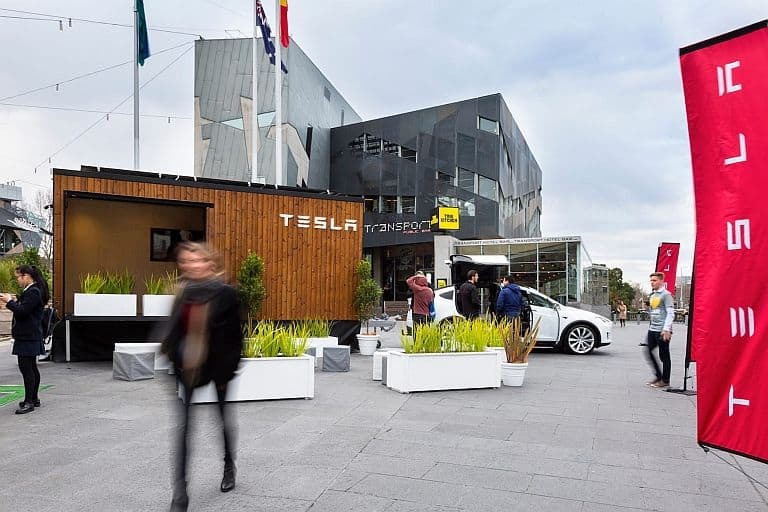 The guiding philosophy of the built was to create something that responded to its natural environment without impacting the land. 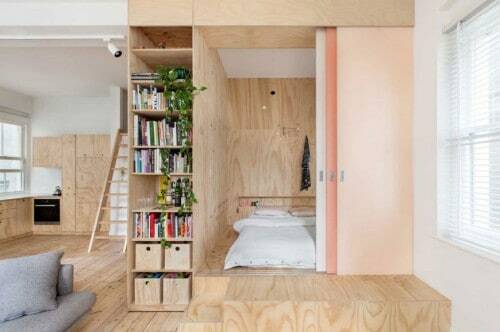 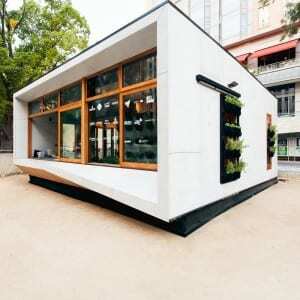 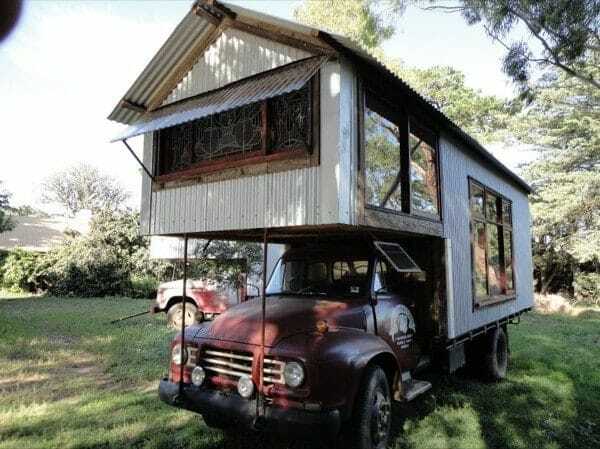 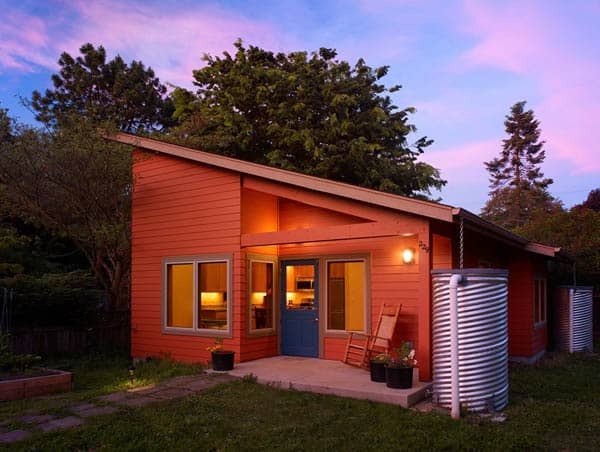 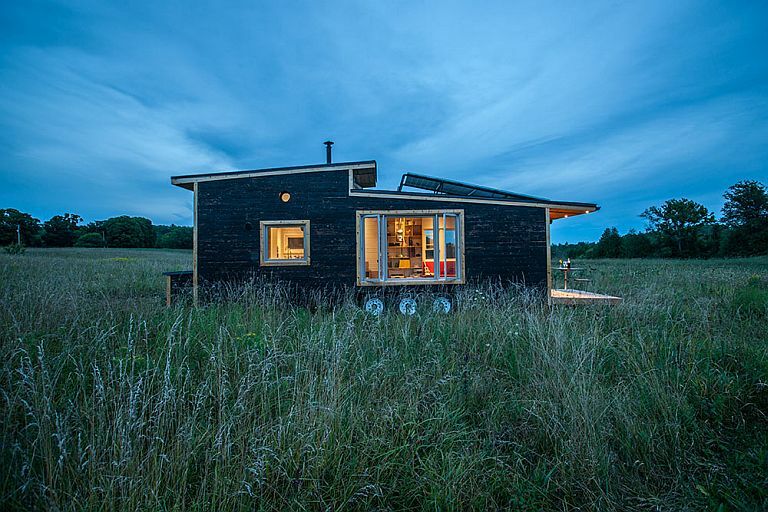 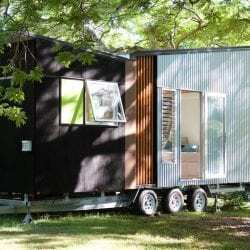 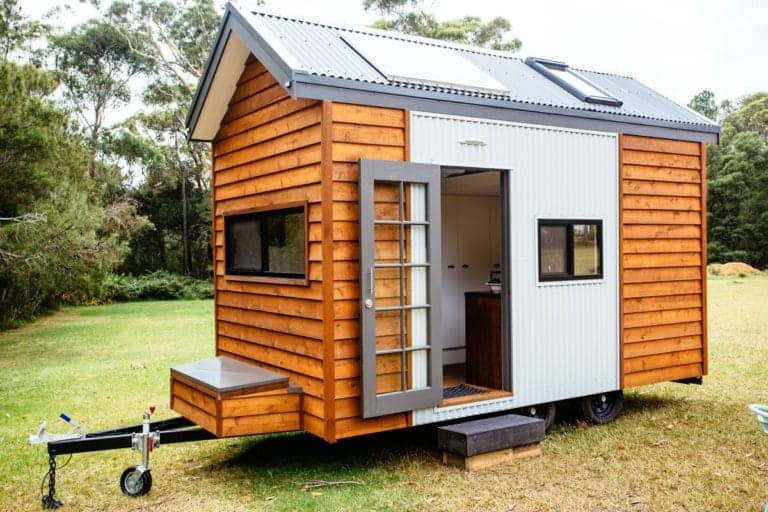 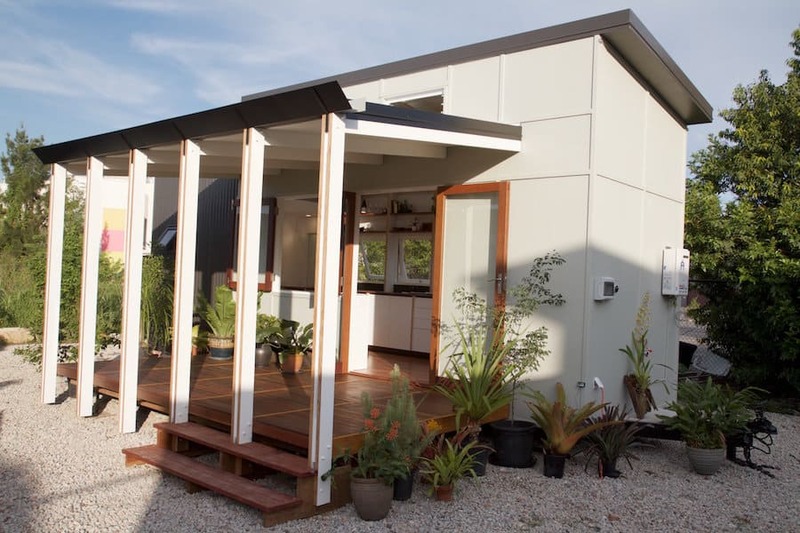 Inside you’ll find a sleeping loft, small kitchen, and living space. 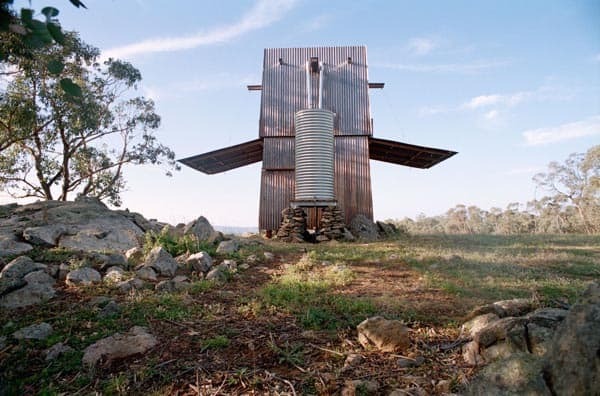 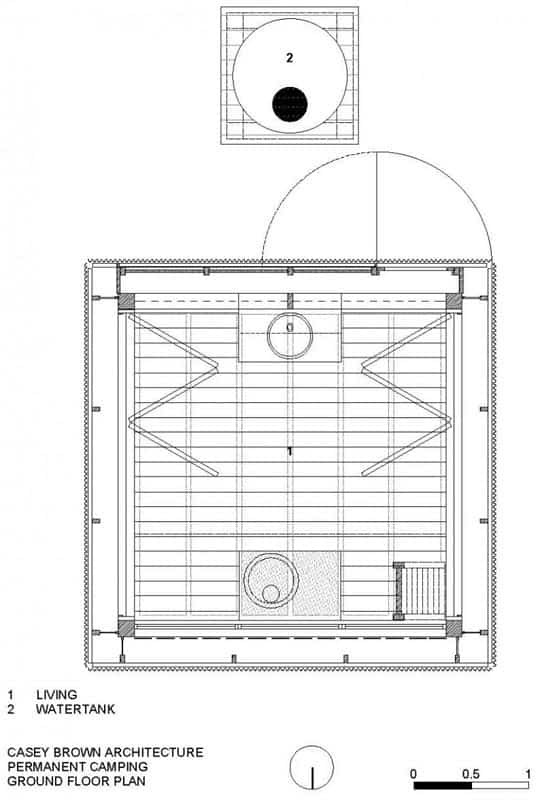 It includes a rainwater catchment tank and walls that raise to allow uninterrupted views of the surrounding countryside, and lower to protect the structure when uninhabited.